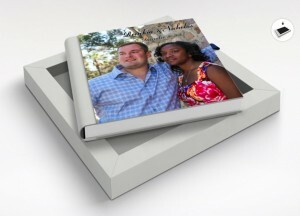 A very personalized wedding guest book that will be a keepsake of thoughtful wedding day messages written alongside photos before marriage. 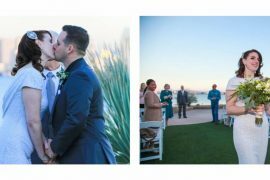 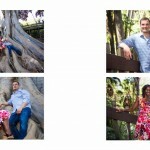 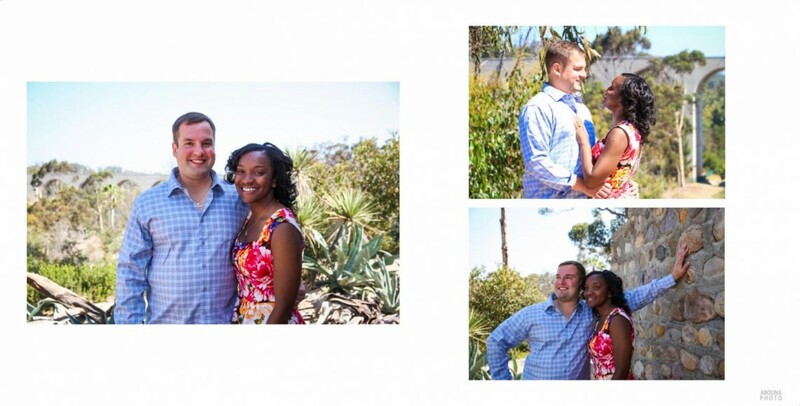 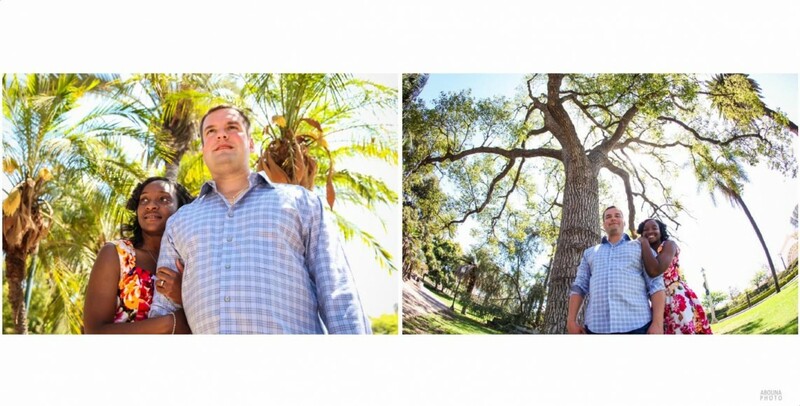 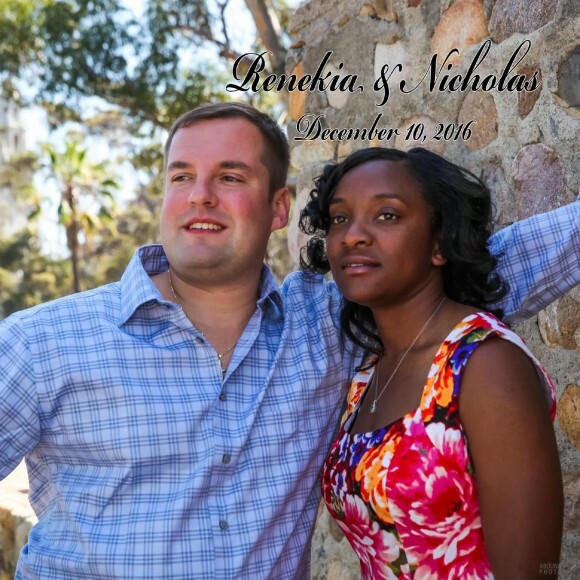 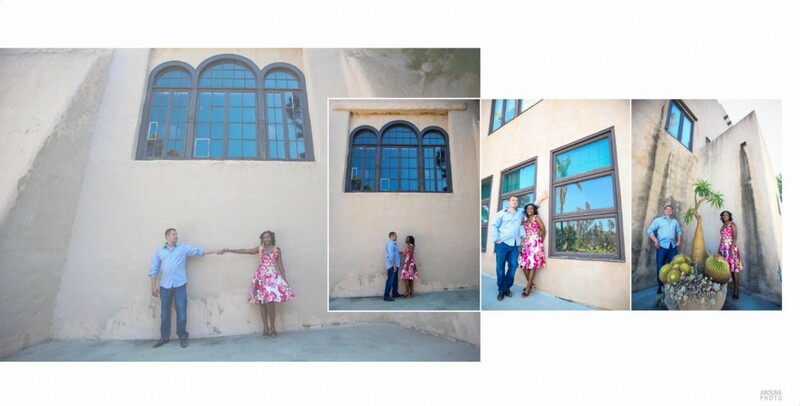 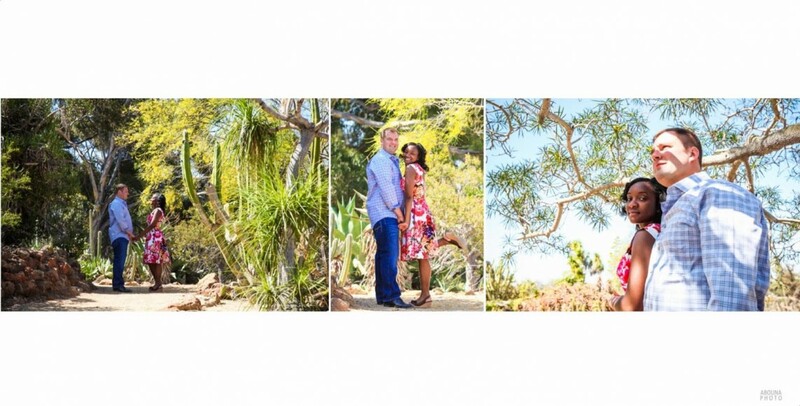 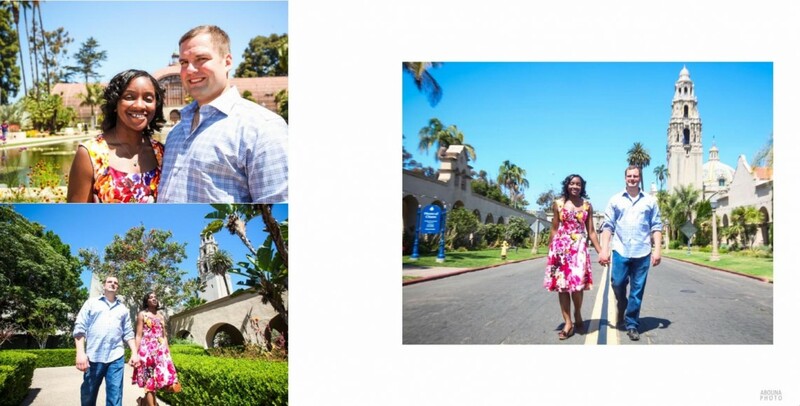 This wedding photography article features the pages of a special wedding guest book made especially for Renekia and Nicholas using a collection of photos from their engagement photography session. 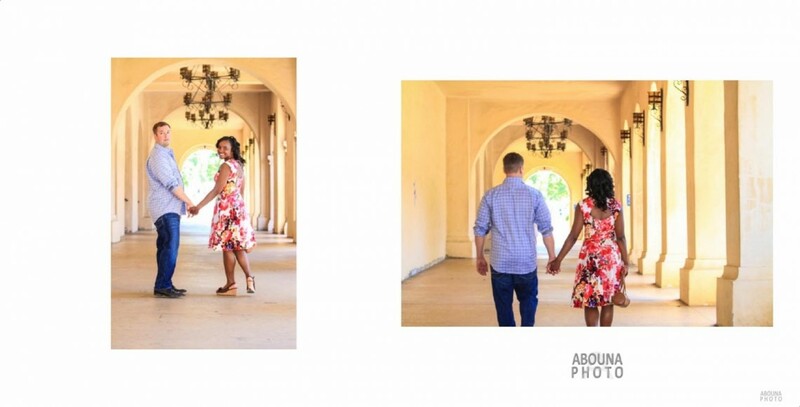 This wedding guest book layout includes 30 of the couple’s favorite photos that we created during our engagement photo session. 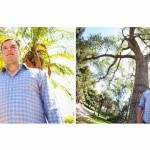 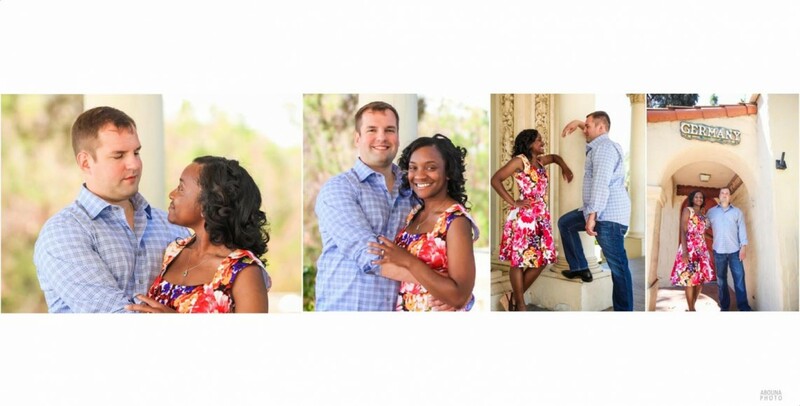 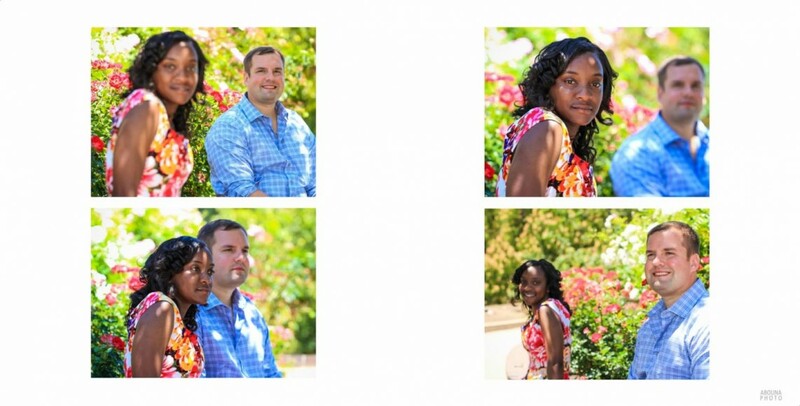 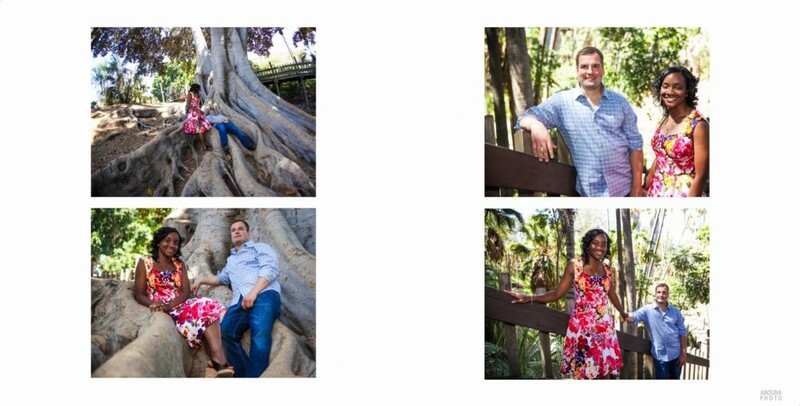 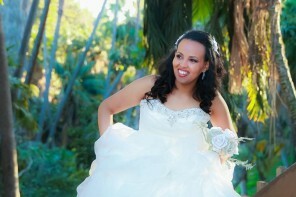 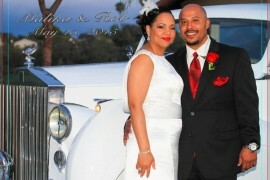 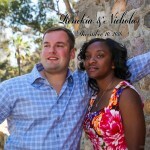 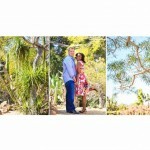 The session was included with the wedding photography package that Renekia and Nicholas booked with AbounaPhoto. 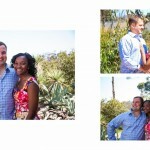 These 30 photos were each edited then arranged across 10 two-page spreads, for a total of 20 lovely wedding guest book pages. 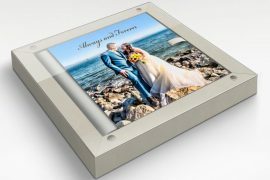 The actual wedding guest book will be printed and bound in Italy by the world’s leading wedding book company, GraphiStudio. 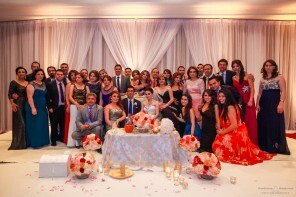 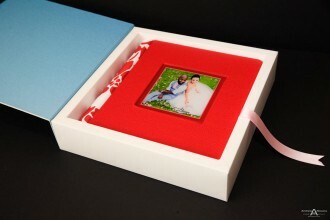 The particular style chosen for the wedding guest book is the GraphiStudio GoBook. Additional personalization that Renekia and Nicholas selected for their book includes a cover photo with their choice of text on the front, Ice Grey leatherette spine and back, and a presentation box. 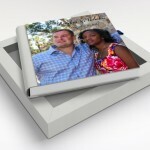 Their book also includes a complimentary upgrade to thick photographic paper pages.